This event is open to all! ATD Members, ATD sister-chapter members, guests, friends, colleagues... we look forward to seeing you all there! 2018 Holiday and Networking Party! 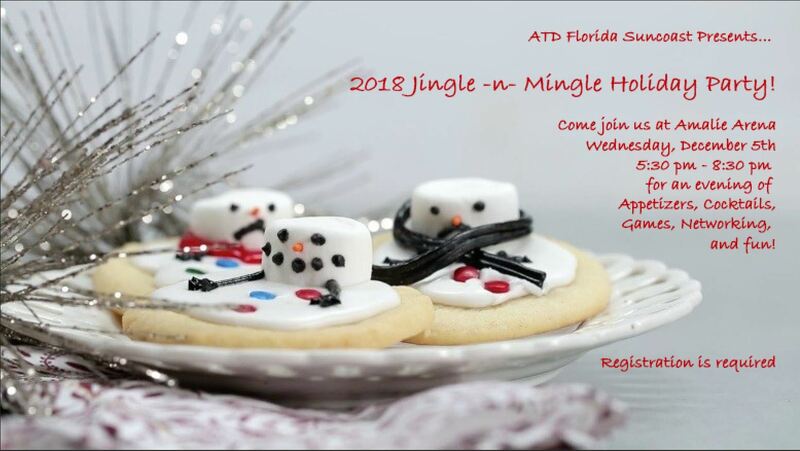 Help us spread the ATD Holiday cheer! Come join us to celebrate the end of 2018, invite and network with your peers, discuss new trends with your colleagues, bring a guest, meet some new Learning & Development professionals, connect with colleagues you haven't seen in awhile, and have a little fun! 7:00-8:00 PM - More Games, More Networking, and having fun! Nominal Registration for this event! registration will cut off on November 30th!